Good morning, everyone — it’s Bookmarked editor Christa, here with your weekly news from the literary world! With my previous post having covered the Best Short Story finalists, it is time to move on to the category for stories between 7,500 and 17,500 words: Best Novelette. 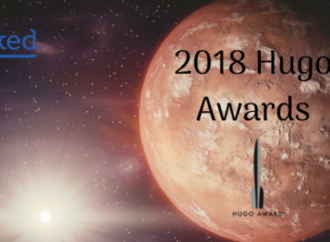 It’s that time of the year again: the latest Hugo finalists have been unveiled, and enthusiasts across the net are picking their favourites and not-so-favourites. I shall begin my own four-part take with the Best Short Story category.